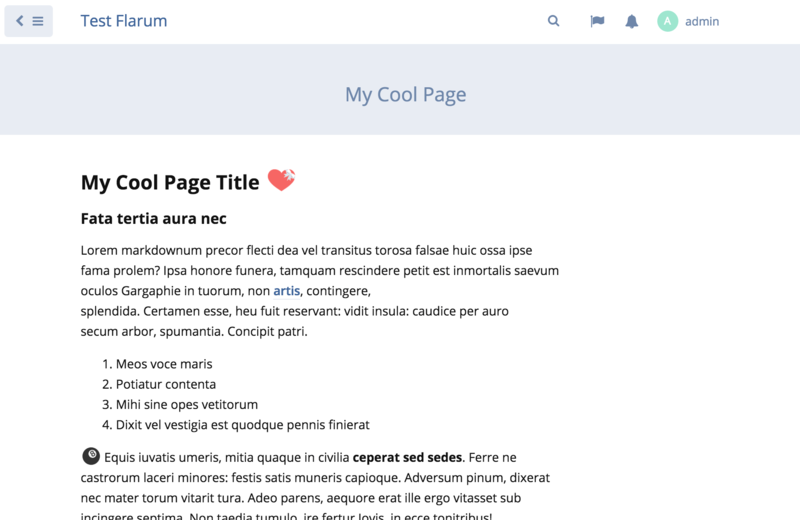 Create custom static pages in Flarum. sijad Love the extension. It appears that I am the only person having this issue with Flarum at the moment. It appears with other extensions, but possibly someone here will be able to help me out. And similarly, the create button is also in that strange structure. I do not know what could be causing this. Somebody please help! 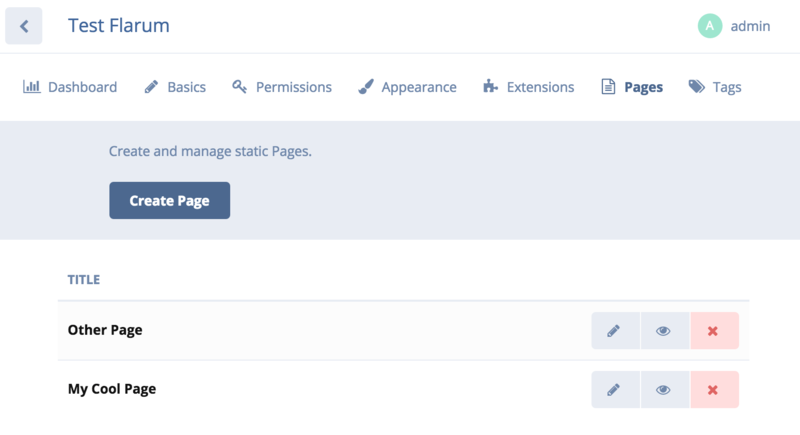 sijad i've run that command and activated it, but the extension not showing in the admin panel, what did i miss or should i do? I don't know how to do the "TODO List" help please. Fantastic work! 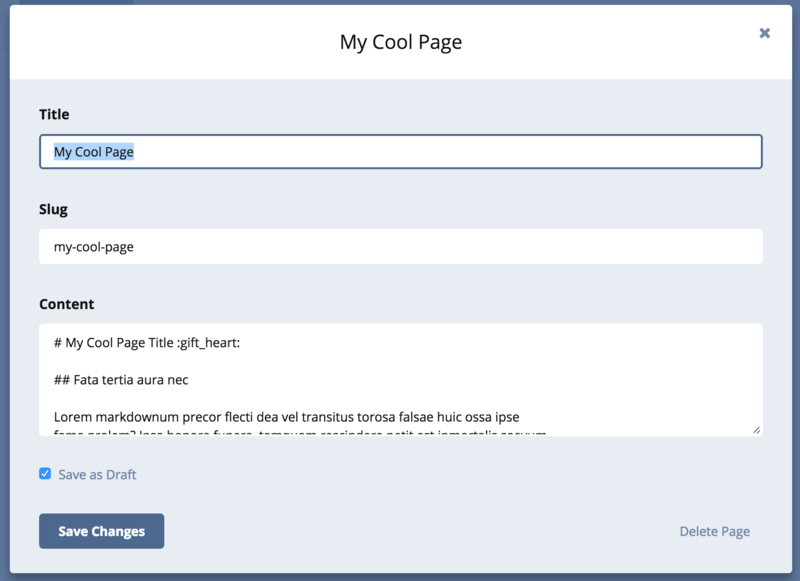 This will be a useful utility for some sites.